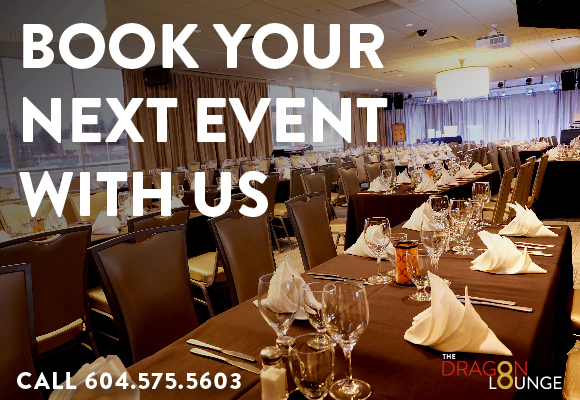 Host your next event in the Dragon Lounge at Elements Casino. Your room rental is FREE with the purchase of a catering package. 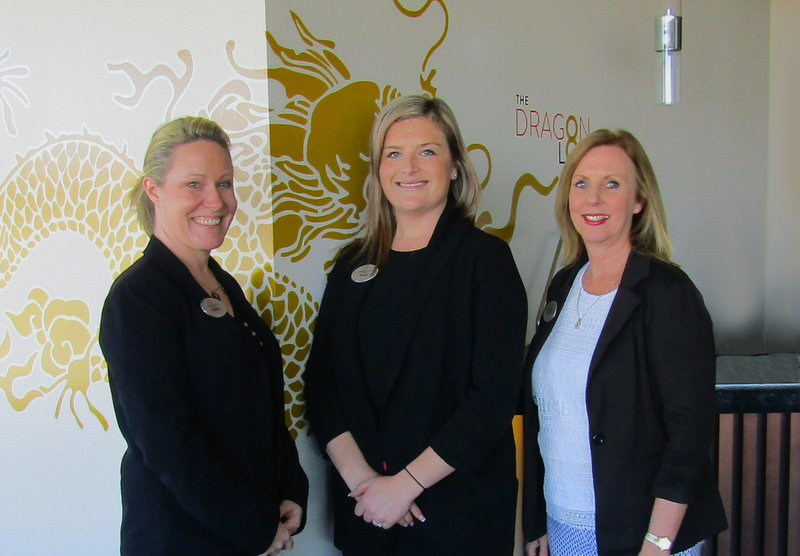 Our Dragon Lounge is available 24 hours/7 days a week and accommodates up to 300 guests, so it is the perfect space to host all of your upcoming events. What type of events can be hosted? We want to ensure each event is unique so we offer a custom catering package. With the ability to customize every occasion, each experience will be a new one. To book a site visit to see why The Dragon Lounge at Elements Casino is right for your next event, contact our catering team at 604.575.5603 or reservations@elementscasino.com. 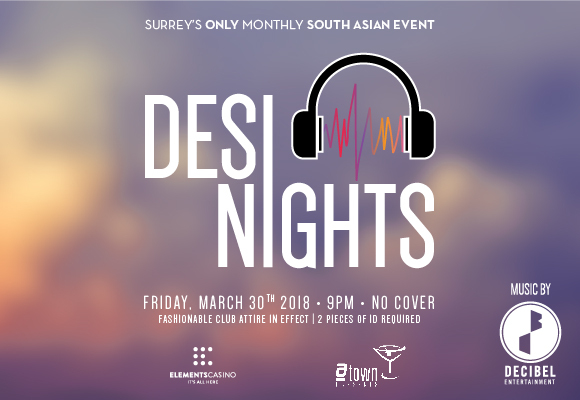 The last Friday of every month is Surrey’s only monthly South Asian Event. Each month a live DJ is dropping live Bangara, Bollywood and Hip Hop beats in the Dragon Lounge. 2 pieces of ID required. Do you have a birthday or party interested in attending? Get your name on the hottest guest list in Surrey! Contact guestlist@atownpresents.com for all guest list reservations. They say breakfast is the most important meal of the day, so why not make it a delicious one? Every Saturday and Sunday from March 3rd – April 29th indulge in our delectable spread of breakfast dishes for $12.99. Then take your receipt to Guest Services to enter to win $50 Free Play or $25 Cash. The draws take place at 12pm and 2pm. What’s included in the Weekend Brunch Buffet? And is it even brunch without mimosas? Add the bubbly beverage to your meal for only $5.25. 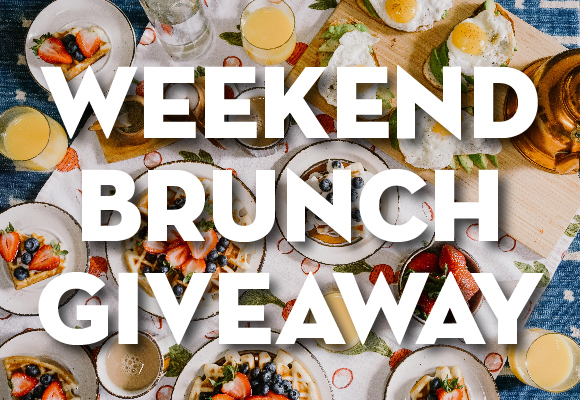 As an Encore Member you will receive up to 50% off your Weekend Brunch Buffet. Not a member? Sign up for free at Guest Services to receive this offer!